You'll never want to ride in another pair of jeans. 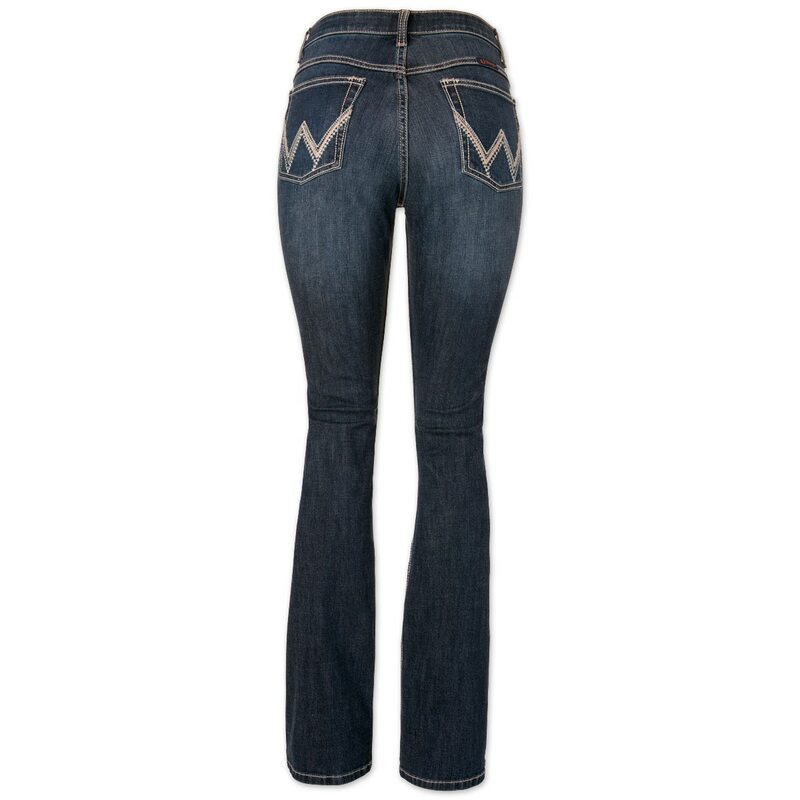 The Wrangler Cowgirl Cut Ultimate Riding jean in Q-Baby Fit has a slimming, stylish cut and features like a no gap waistband and flat seams to make riding even more comfortable. You'll look good and feel great in and out of the saddle. 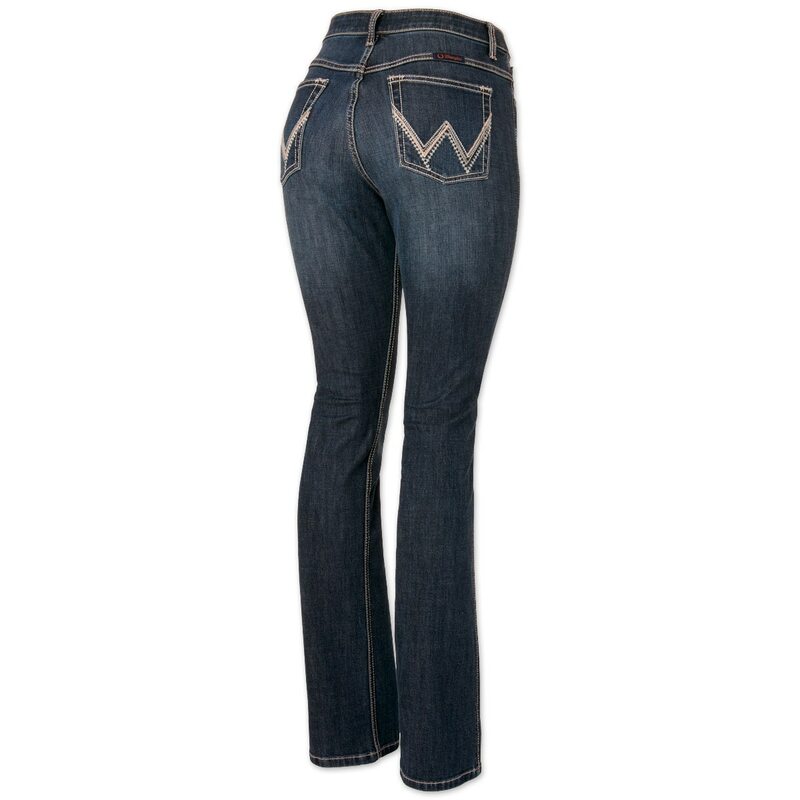 Wrangler® Women's Ultimate Riding Jeans Q-Baby- KS Wash is rated 4.3 out of 5 by 3. 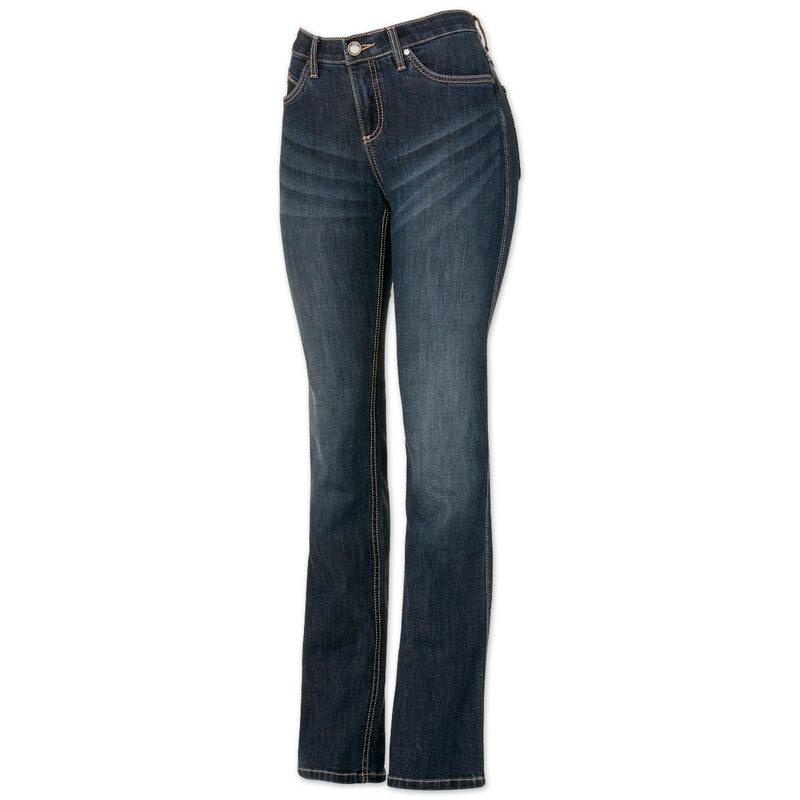 Rated 4 out of 5 by Nicitchic from Favourite riding jean These jeans are a staple in every riders wardrobe. They have a high enough rise to prevent plumbers crack, yet the elastic helps keep the waistband from gapping, very important for preventing fall or winter drafts from occurring. They are durable and priced economically. Rated 4 out of 5 by horsegal from close to perfect These are comfortable right out of the bag. I have an athletic build with small hips and the only reason I didn't give these a 5 star was because there is extra room for me around the waist and hips/rear end/thigh area, which I don't think is the most flattering thing to have baggy pants, BUT they ARE so comfortable because of that, like a pair of sweatpants. I'm ordering 2 more pair. I like the material and the cut and that I can get them in a long size and that there isn't a huge gap on the backside. I may try the next size smaller than I would normally get and see if that fixes the bagginess but I don't want them too small. 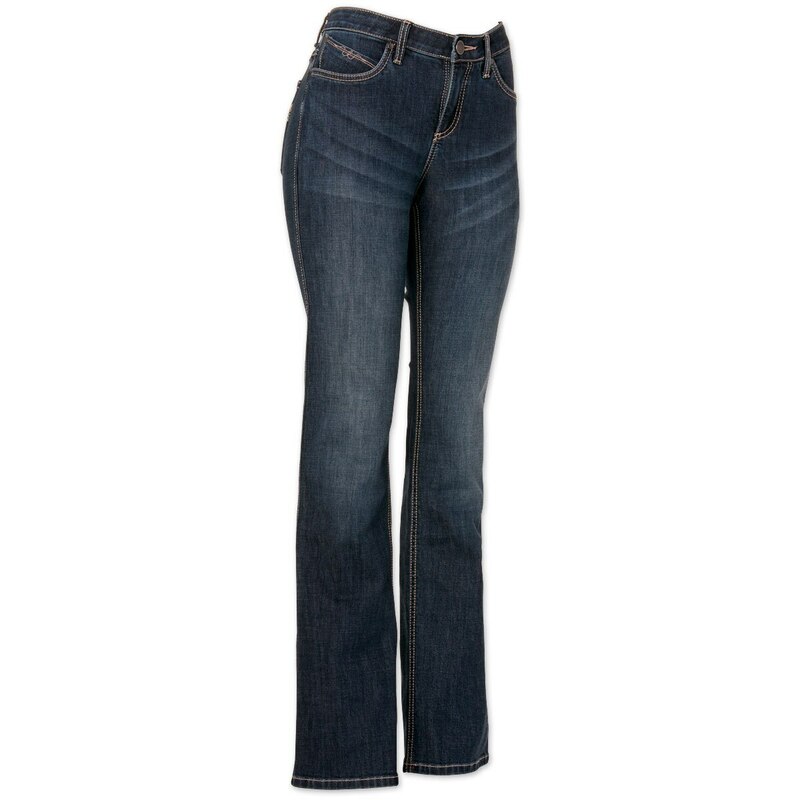 Rated 5 out of 5 by jhawife from very comfortable These jeans fit perfectly and are very comfortable working around the barn or riding my horse. They don't stretch out like other jeans and the waist line is perfect for my short waist. Plus, I don't have to wear a belt if I don't want to because they stay up on their own.